We are a professional and time-served Scaffolding company - delivering the ultimate level of safety and access to every single project that we erect. Click here to learn more about how we deliver our services to our residential clients. Click here to learn more about how we deliver our services to commercial customers. 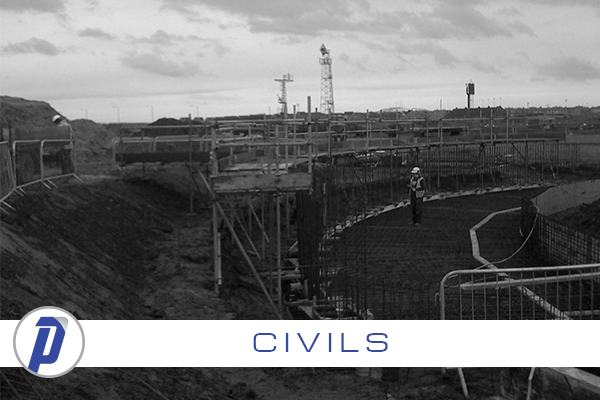 Click here to learn more about how we deliver our services to civil customers. 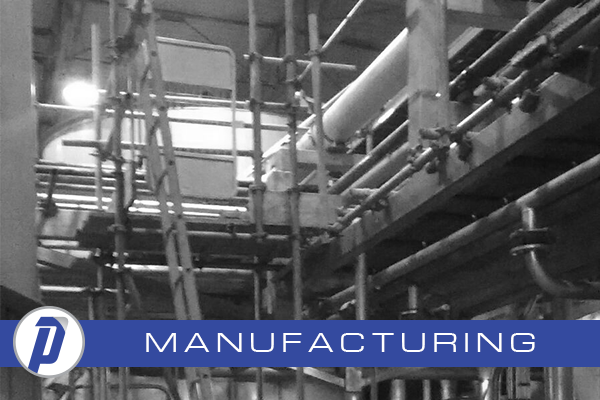 Click here to learn more about how we deliver our services to manufacturing customers. 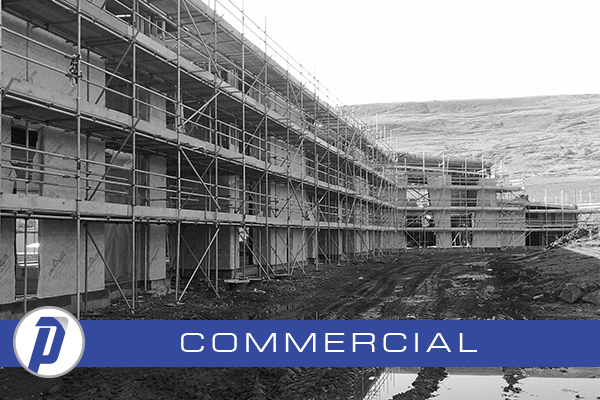 Whether you are a domestic customer that is looking for Scaffolding quotes to allow your tradesmen access to carry out building work on your home, or you are a commercial client that would like us to tender for an upcoming project. We can assure you that you would have our full commitment and that we will deliver every step of the way. Our experience, equipment and sheer dedication to deliver a safe working environment ensures that any project put in our path will be tackled with passion and that any users of our scaffolds and any property we work will always remain safe at all times. Bridgend, Vale of Glamorgan, Cardiff, Neath Port Talbot, Swansea, Carmarthenshire, Rhonndda Cynon Taff,Merthyr Tydfil, Caerphilly, Blaenau Gwent, Torfaen,Cheltenham, Gloucestershire, Monmouthshire, Bath, Herefordshire and Bristol. Choosing Pinnacle Access Ltd is your first step towards ensuring the ultimate in safety and workable access for your intended project. 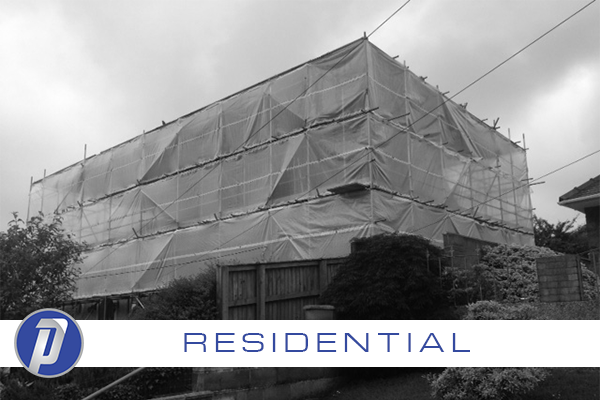 We can provide scaffolds to residential properties throughout the entirety of all the areas we cover. Our residential work consists of providing access to.customers that need maintenance, repairs and building work to properties. As a client of Pinnacle if your a home owner, landlord or local authority you can expect a comprehensive service that ensures you receive a safe and effective scaffolds that protects your tradesmen, property, possessions and of course any members of the public. Your health and safety is paramount to us - therefore, in the event that you notice a potential issue with one of our platforms, rest assured that you can count on us to get a team out to rectify this for you asap. And in the event of an accident/emergency? We are able to provide an emergency response service to customers that need emergency access due to accidental damage. In these circumstances we are able to get a response team with you very quickly - rely on Pinnacle Access Ltd to provide you with the access you need. If you would like a free quotation for your upcoming project then please call us on 01656 745 929 or 01639 509 008 - we look forward to serving your access needs. Working for a number of large commercial companies over the years has seen us travel the length and breadth of the UK. This amount of commercial experience has seen us come up against and remedy any potential issues that may arise allowing us to gain vital experience which has enabled us to deliver a comprehensive and seamless service to our clients. Our dedicated teams of scaffolders have the know how and experience of the industry to service your requirements. We fully appreciate that your safety is on our hands and we treat this with every ounce of dedication within us. The Pinnacle team thrive on challenging projects and, as such, we are able to provide access in tight or obscure areas. Our commercial clients are often impressed with our ideas and how these help their own work-flow as a direct consequence. Your project will have it's own dedicated manager that ensures that every aspect of the service that we provide you with is professionally over-seen - and delivered with total dedication to delivering the ultimate in commercial scaffolding and access. If you would like us to submit a tender for your project, please email office@pinnacleaccess.co.uk or call us on 01656 745 929 - 01639 509 008. We look forward to partnering with you. Since we have been established we have worked on a large number of high profile projects such as the M4 Widening Scheme, A465 link road, Church Village Bypass, Porth Relief Road and various infrastructure projects throughout the region. Therfore from our experience we have been able to tackle all the obstacles that have been put on our way providing solutions with job specific technical designs to enable our clients to acheive their goals of completing their projects on time and within budget. Would you like to discuss your project with us? Email office@pinnacleaccess.co.uk or call us on 01656 745 929 - 01639 509 008. We look forward to partnering with you. Due to the vast knowledge of our management team that have a background in providing scaffolds for all types of clients such as Petrochem, Car, Steel, Chemical, Paper, Food, Power and various others we are able to service the requirements of your company and are able capable of working to any permit systems designated by your companies. We can work alongside you and your production teams to ensure your plants and factories are maintained any breakdown of your machinery is covered therefore helping you to keep your workplace fully productive and efficent at all times. Also providing you with a 24hr 7day a week service that can give you peace of mind in any eventuality. Our company are capable of providing your access requirements on any shutdown periods of your facilites. We can work alongside your team and help plan and cost any planned shutdown your company may have to try and ensure that from our side everything is on time and your costs are kept to a minimum. Speak to us about your upcoming project. Send an email office@pinnacleaccess.co.uk or call us on 01656 745 929 - 01639 509 008. We look forward to partnering with you.